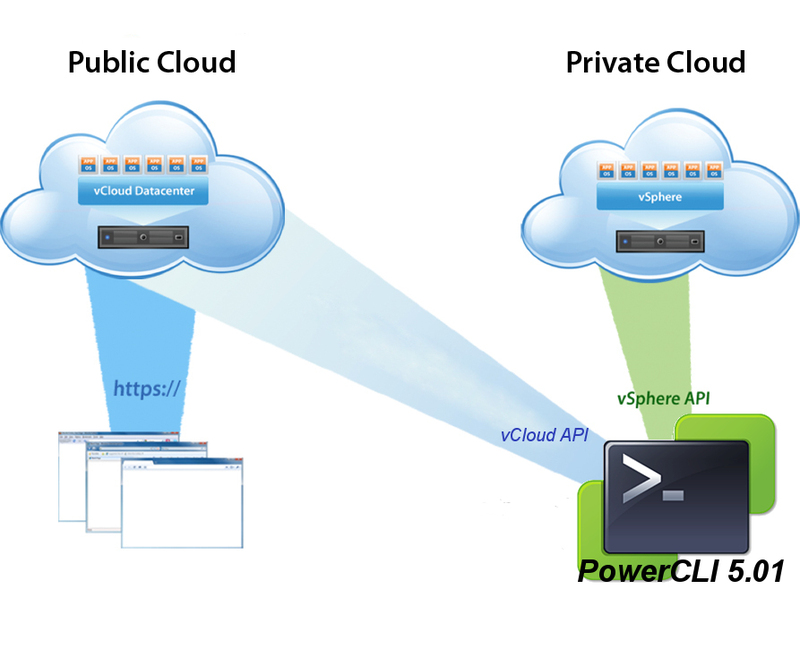 PowerCLI 5.01 is now available, with a shiny new snapin for vCloud Director 1.5! Description : This Windows Powershell snap-in contains This Windows Powershell for managing Cloud..
Let's take a look at the cloud cmdlets we get in this release! There are cmdlets for both the vCloud provider admin, AND the vCloud Org admin included in this release, so whether you run vCloud Director internally, or use a public Cloud provider like Bluelock, this snapin is for you! For your convenience, I've highlighted the cmdlets in the list above that are available to both Org and Provider admins. So, let's give them a try in a hybrid environment, where I am connected to my local vSphere and a public vCloud Provider. To connect as an Org admin, I'll need my username, password, and Org. I've connected to both my internal vSphere environment, and my public cloud provider. So doing a [code]Get-VM[/code] and then a Get-CIVM will list my VMs in both environments. You'll also may notice from the list that there are no Set-* or New-* cmdlets. Never fear though, because in the next post we'll take a look at making some changes to our vCloud VMs with Get-CIView and the vCloud .NET SDK. Why are you still reading this? Go download it!